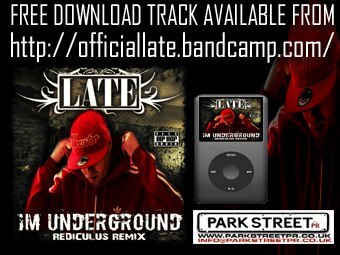 LATE teams with Chicago producer Rediculus from Knowledge Giving Birth Productions for a new remix of his track ‘I’m Underground’ off his ‘Street Science’ album. This track is already causing a stir with positive feedback from fans and media. This track will feature on a forthcoming UK Runnings mixtape that will be entirley produced by Rediculus.